Wyoming High School "Indians" & "Injuns"
The city of Wyoming (population 1,424) is located 19 miles southeast of Kewanee, along Il. Rt. 17 and Il. Rt. 91 approximately 9 miles east of Il. Rt. 78. Wyoming is situated in the center of Stark County and has a great tradition dating back to the 1920s regarding its educational system. For various reasons the School Districts in Wyoming and Toulon consolidated in 1992. The new school district is known as Stark County High School. It is there that the great success of education continues for the Wyoming children. 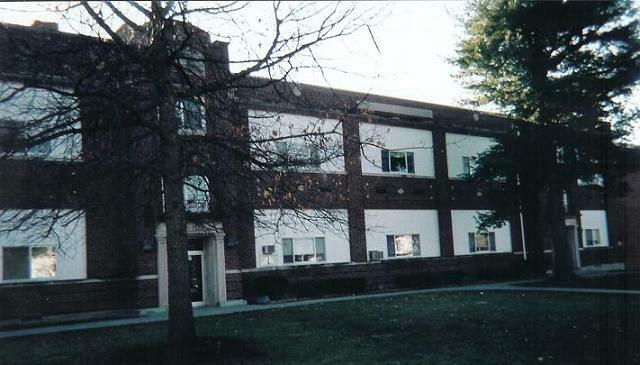 The old Wyoming High School building served its last classroom full of children in the spring of 2006. 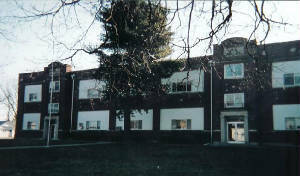 The original main high school building now sits vacant. 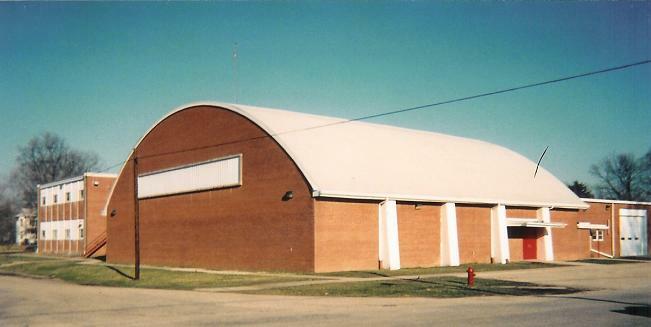 The gymnasium and "Ag" building are still utilized however. These buildings were constructed in the 1950s. The original building was constructed in the 1920s. School Fight Song: "Let's GIve A Cheer!" Sung to the tune of "Men of Ohio"
Who wear the colors red and white. Or even if we lose the fight! We got the pep and got the spirit! That's what it takes to win a game! We'll see up at the top to gain your fame! We are the W-Hi School Indians! We fight to keep our dear name in fame. W-Hi, W-Hi, Rah! Rah! Rah! Wyoming High School has a very rich tradition of competitive teams and good athletes. 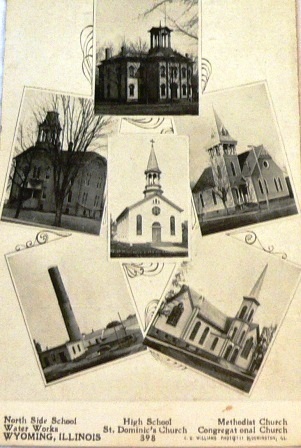 The school competed in the old Black Hawk and Lincoln Trail Conferences. For more information on the Blackhawk Conference check out John Ballentine's article on the GREAT CONFERENCES page of this site. There is an extensive football record on the IHSA web site (www.ihsa.org) however the other sports are somewhat skimmed over. If you have more information to share regarding athletics and the better teams at WHS please complete a School Submission Form. The boy's football team enjoyed many great Friday nights of success. The team qualified for the IHSA playoffs on 3 occassions making it to the Sweet 16 during the 1986 season. You cannot write about Wyoming HS football and not mention Coach Gary Johnson. The years in which he coached at Wyoming HS berfore the merger with Toulon are difficult to follow. However when you include his record upon taking over the Stark County HS football program he finished his career with an overall mark of 180 - 113! The better records of the Wyoming HS Indian football teams are listed below. **Wyoming last independently fielded a football team in 1989. In 1990 and 1991 they Co-op'd with Princeville and consolidated with Toulon in 1992. The boy's basketball team also brougth home some IHSA hardware. Their best seasons are listed below. Information is being sought on the 20 game winners and better teams that failed to win IHSA hardware. Blackhawk Conference championship teams were provided to us by John Ballentine. Scores involving Wyoming HS boys in the IHSA Tournament were located on a website titled "Illinois Postseason Basketball Scores." These scores are printed below. *Final season as the Wyoming High School "Indians". Wyoming High School enjoyed some success in the early 1920s with two individuals bringing home IHSA medals. The two led the Wyoming team to a 9th place finish in the state track meet in 1921. This is incredible considering the one-class system being operated under at the time. The Indian thinclads earned a total of 5 Stark County Track Meet Championships over the years. The "Injuns" (as the girls' teams were nicknamed) were not to be outdone, bringing home 3 Regional titles of their own. The records and coaches of the better Wyoming girl's basketball teams are being sought. This was before the two-class system. The two-class system for girls started in the 1979-80 season. Thank you to Mariann Harmon Griggs for the playoff information regarding the Regional Champs of 1978 and 1979! Information is being sought regarding the volleyball and girl's basketball teams at Wyoming High School. Please complete a School Submission form if you would like to share this information with us. Coach Gary Johnson is one of the legends of high school football in Illinois. His overall record of 180 - 113 ranks # 42 all-time in IHSA football history. Coach Johnson is truly an icon not only in Wyoming but in the upper midwest region of Illinois also. Sadly Coach Johnson passed away on June 12, 2006 at the young age of 63. He will be sorely missed by the people of Wyoming and Stark County. 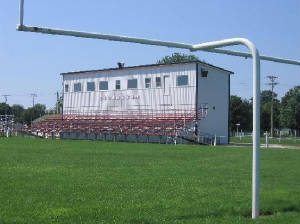 During the 2006 football season, the Wyoming football field was renamed Gary Johnson Field in the late coach's honor.